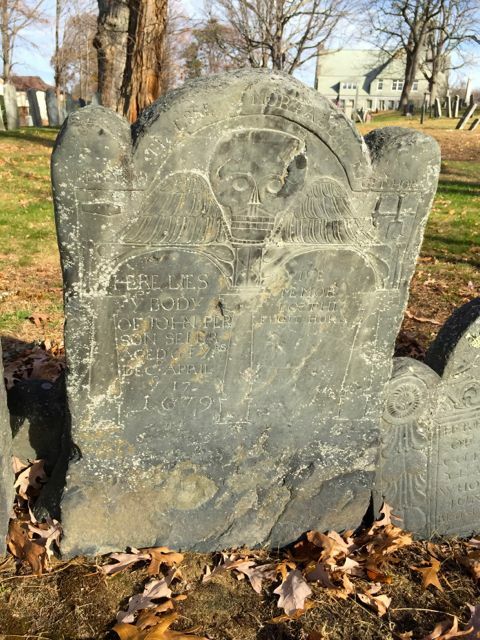 Wakefield’s Old Burying Ground is one of the town’s most valuable historical assets. The gravestones contained within are the truest testament to those long ago settlers who established our town. 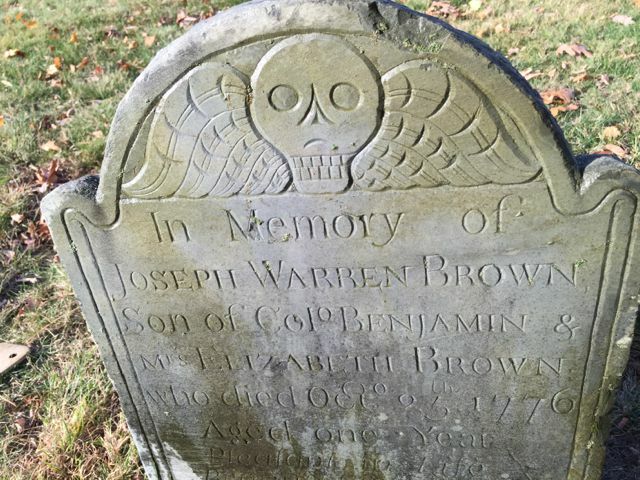 (Read the history of the Burying Ground here.) Inscribed in the New England slate are words and images that illustrate their hopes as well as their sorrows and must be preserved. 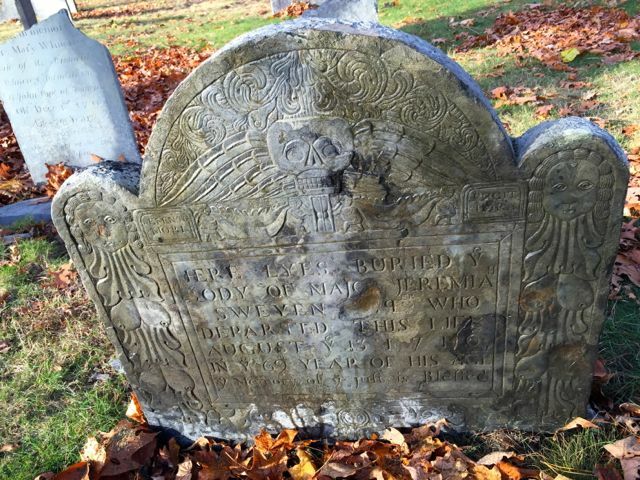 In addition to their historic value for the town, the gravestones represent some of the most important examples of Puritan gravestone art in the nation, many of them in unrivaled states of preservation. 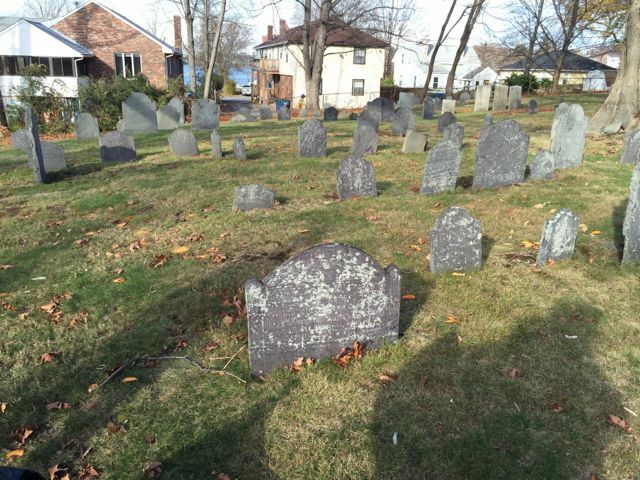 But the Burying Ground is presently being threatened. Lichen are attaching themselves to the slate stones. If left untreated they will eventually destroy all carving on the stones. 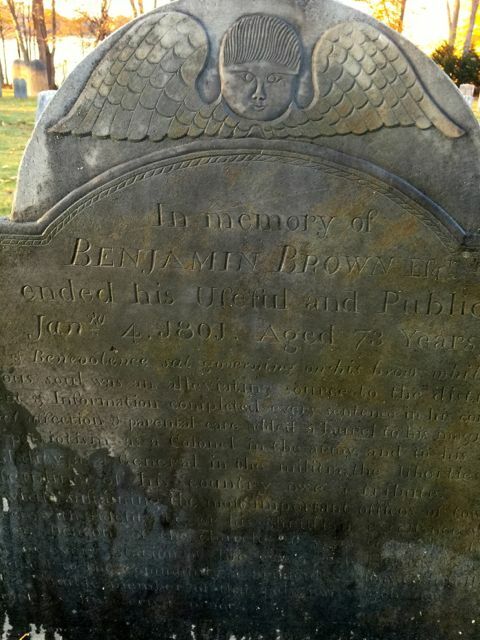 This is the gravestone of Benjamin Brown. He lived at Lakeside, near Beebe’s Cove, where the Lucius Beebe mansion now stands. Benjamin Brown was a tanner, but when war broke out in 1775, he left his home and took his unit to join the effort. 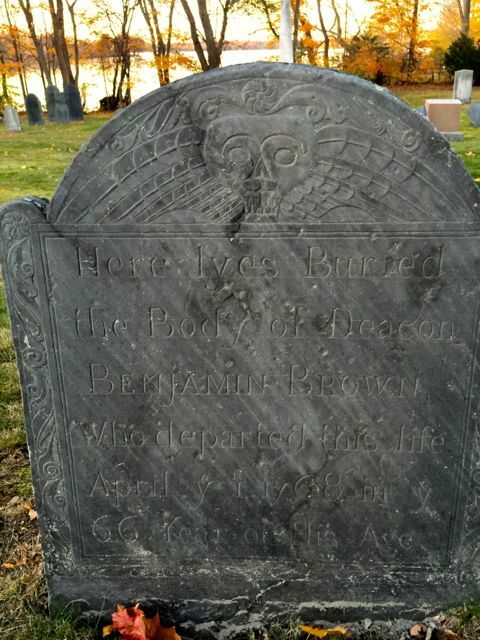 Benjamin Brown was a Colonel in the Revolutionary Army, and later became a General in the Town’s Regiment. 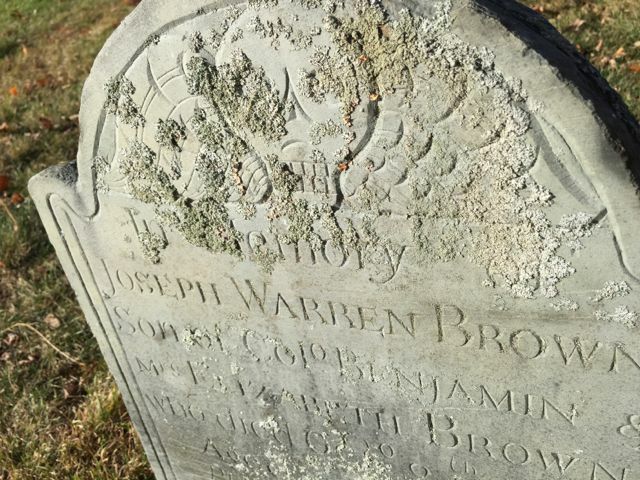 The Wakefield Historical Society has one of his letters from the front to his wife, expressing his love for her and the ‘little general,’ their son, Joseph Warren Brown. 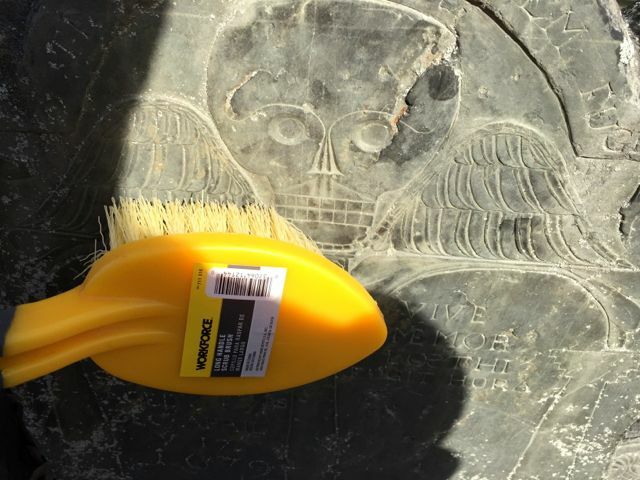 It would be a shame to lose the rich engraving on his gravestone, so this volunteer undertook to clean it. This is the result. 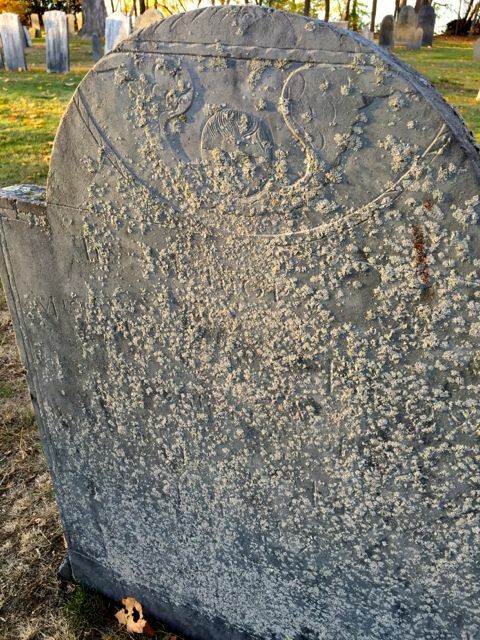 The gravestone of one of our seventeenth century town’s premier citizens, Jeremiah Swayne, was in very bad shape — completely overrun by lichen and completely unreadable. 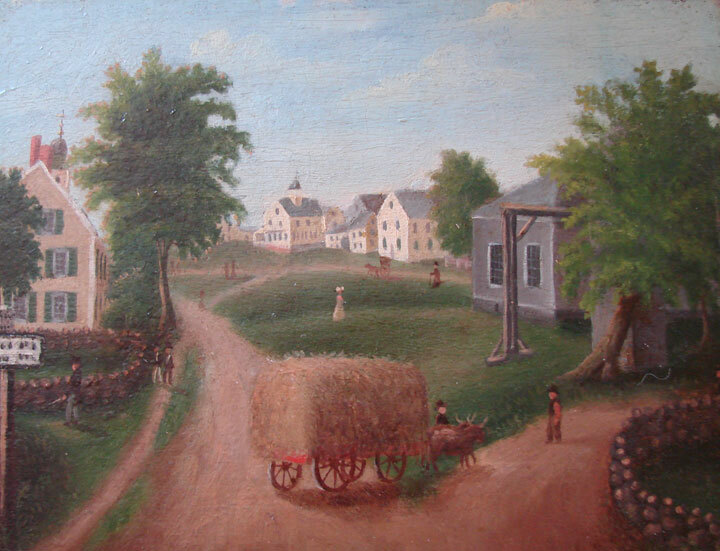 Jeremiah Swayne was a doctor, and an important figure in the town’s regiment — in fact he became the commander of New England forces in the French and Indian Wars. 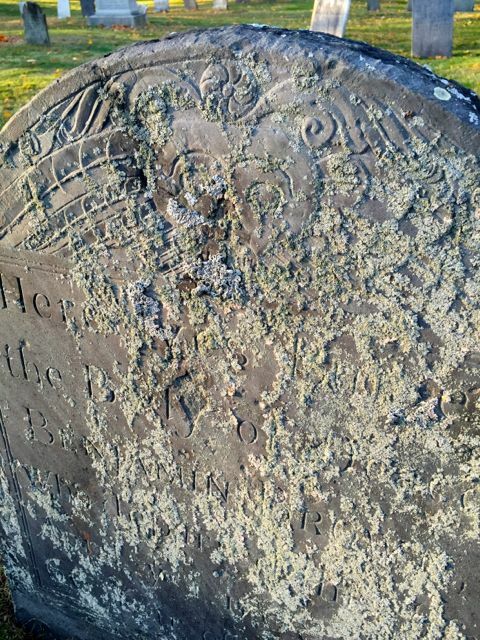 Now his gravestone is relatively lichen free — difficult to photograph, but worth a visit! 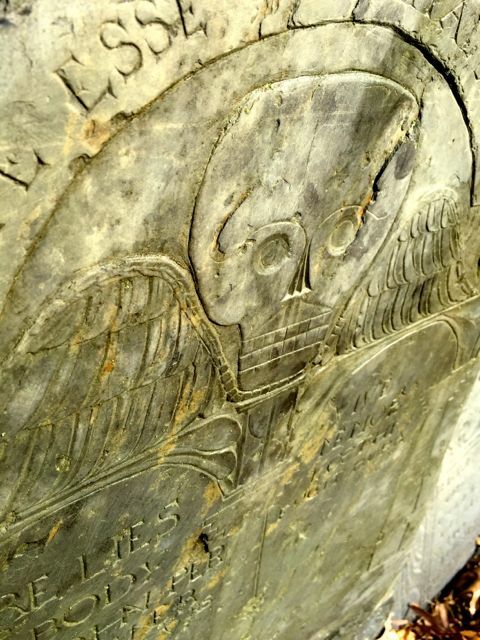 About ten stones have been cleaned, but many more need to be addressed, including most of our eighteenth century gravestones. A soft bristled brush, a wooden tool like a paint stick, popsicle sticks or wooden scraper, and a spray bottle with clear water. 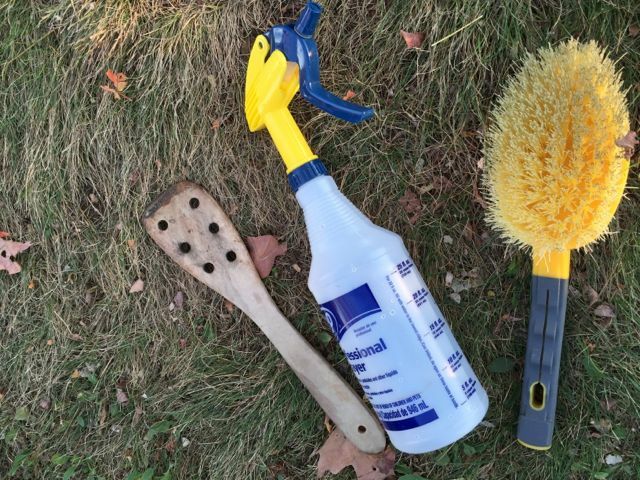 With these few tools and a couple of hours, you can help make a big difference! Please contact wakefieldhistory@gmail.com if you’d like to help out. 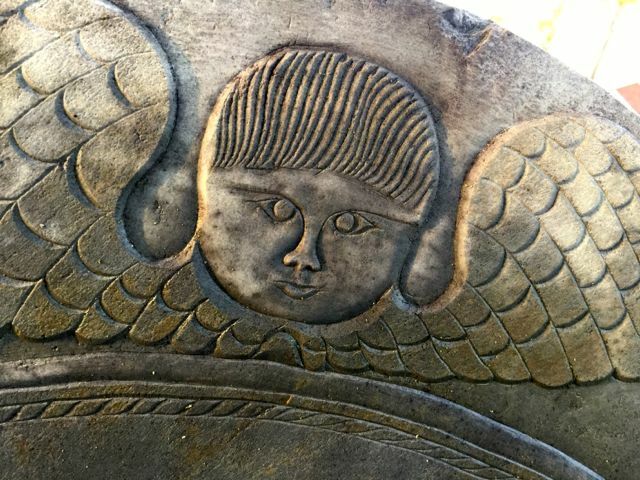 IMPORTANT: Use no metal tools or brushes on our fragile gravestones! You can help us to preserve our history. Thanks very much for anything you can do!